Nearly nothing compares to it: Extremely resistant against impact, exceptionally tear-proof and stress resistant even in extreme hot or arctic temperatures, pressure resistant in ­every way, resistant against aggressive chemicals, particularly light, flexible and non-corrosive. Practically incompatible qualities? No! 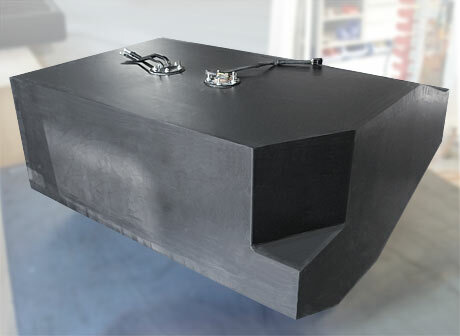 We are talking about the best approved material for fuel tank construction: HDPE (high-density polyethylene). 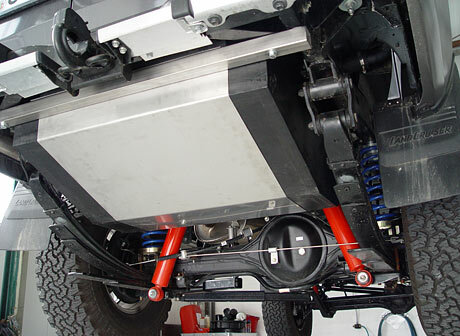 Beside the positive usage qualities, which are far superior to those made of steel, this material is recommended for individual solutions: Due to its good molding qualities individ­ual require­ments are optimally feasible for fuel and/or water tank systems. 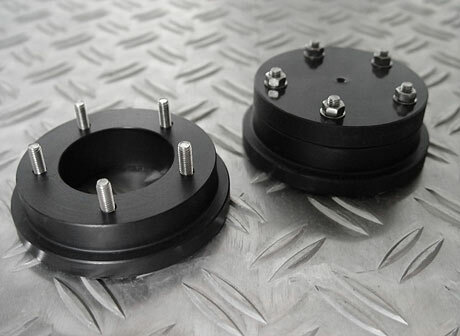 Welded PE flange for mounting the original TOYOTA extraction section with inlet and outlet (suction pipe with sieve; cleaning possible) or bulkhead screw connection. For the integration with production fuel systems we recommend original TOYOTA magnet valves for inlet and outlet as well as the original TOYOTA dashboard switches. Alternatively switching is also possible with manual 2-/3 way ball valve. It is possible to fill the main tank by gravity or pump. Optimum nominal width up to 12 mm in the extraction section also guarantees the trouble-free removal of vegetable oil at low temperatures . 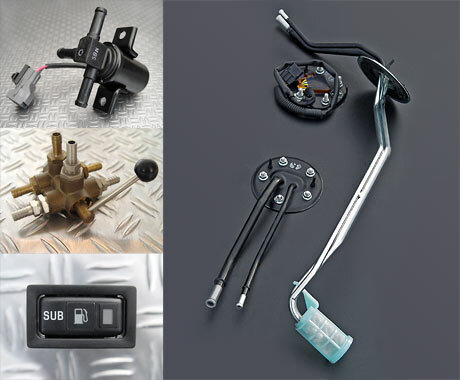 The original TOYOTA tank sensor is compatible with the production fuel gauge. At the touch of a button the filling stages are exactly indicated. No second fuel gauge is needed! CCM fuel and water tanks are manufactured in small series or individually according to customer‘s specifications in the CC-Manufaktur in Senden (Germany). The compliance and improvement qualities are regularly supervised externally. 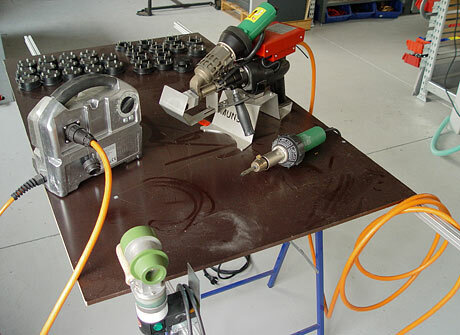 Whether replacement or auxiliary tank system: The mounting is uncomplicated, the servicing simple, and even in the unlikely case of a repair, there is no need to deplete any brainwork due to cost-efficient extrusion welding. For special applications/requirements please ask us!